This week, we are going to be learning about fantasy stories. We are going to be reading and learning the story of 'Where the Wild Things Are'. We read and discussed the story before creating our very own story maps to retell main events in the story. 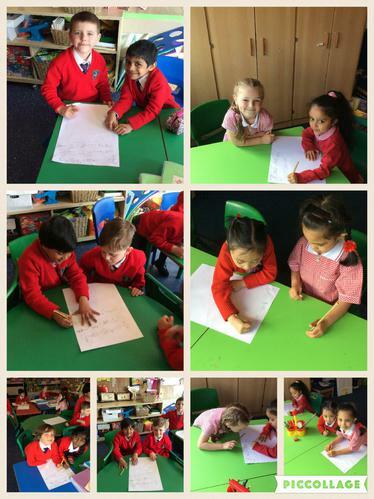 Some of us worked with our talking partners to create a story map to help us retell the story. We used the class story map and came up with our own actions to help us retell the story. We were even able to use some of our Talk for Write actions such as; so, and, then and but. We enjoyed retelling this story using actions. We cannot wait to sequence the story next! "They roared their terrible roars"
"They gnashed their terrible teeth"